This week’s “Back-Up of the Game” presented by Venyu is outside linebacker Trent Cole. The fact that Trent Cole is still even playing professional football this season is a feat in itself. The fact that Cole is playing at a high level is rather amazing. Returning from injued reserve after September back surgery, Cole has suited up the last two weeks for the Colts and has been a disruptive presence off the edge. Cole had five tackles (four solo, one for loss) and a strip/sack in Sunday’s loss to the Texans. With Robert Mathis out the last two weeks, the Colts have needed the starting-type effort they’ve gotten from Cole. The pass rushing presence from Cole has been welcomed, but his contributions in setting an edge in the run game should not be overlooked. 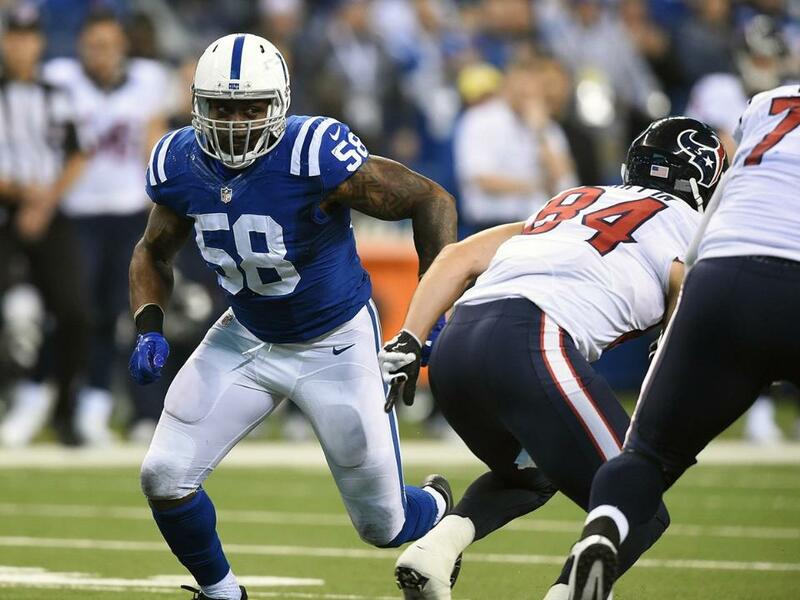 Sunday’s loss to the Texans was devastating to the playoff chances for Cole and the Colts. For Cole to experience the playoffs in Indianapolis, the Colts will need to win out and get some serious help from the Texans and Titans. “Anything can happen,” Cole said after the Colts fell to 6-7 on the season.